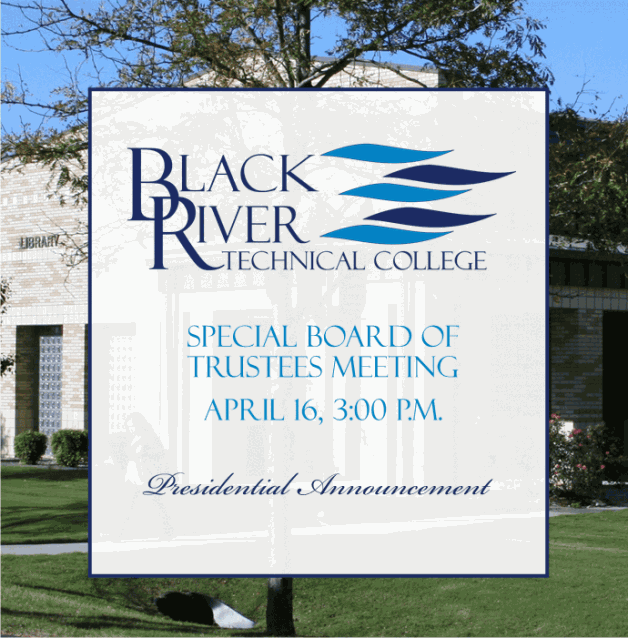 A special meeting of the BRTC Board of Trustees is scheduled for Tuesday, April 16 beginning at 3:00 p.m. in the BT Conference Room of the Gaines Technology Building on the Pocahontas campus. The purpose of this meeting is for the Board of Trustees to select and announce BRTC’s new president. This meeting will be live-streamed via Facebook Live. The Board will enter into executive session in order to discuss, select, and notify the next BRTC president. If you do not have a Facebook account, you can still watch a Facebook Live video and view BRTC information on Facebook. Those without an account will not be able to make posts or like anything, but they can view the content. All students and employees can view also BRTC Facebook events and news from their homepage on myBRTC. Anyone with or without an account an view all BRTC Facebook events and news on the BRTC homepage below the news.